Beta launches the new EVO MY 2019 into the market. The Tuscany-based bike builder’s engineers have completed an intense development and technical refinement program to give the new Evo an even higher performance and reliability while increasing the fun factor and rideability. 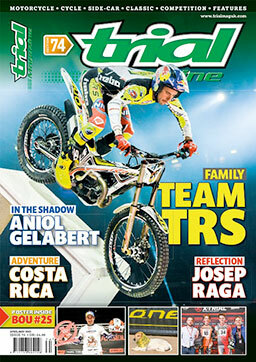 The new Trial range incorporates all the race know-how built up by the Beta Factory Team (which, this year, has two top riders, Albert Cabestany and James Dabill), ensuring all riders, non- professional and professional alike, can count on the best available technology. There are three 2-stroke engines: 125, 250, 300. The world renowned 4-stroke version, is available in a 300 cc displacement and offers a sound alternative to the 2-stroke versions thanks to user-friendly engine power delivery which is welcomed by clubman riders and experts alike. All the 2-stroke versions have the following new features, designed to give the bikes a more technically polished feel. Engines (except the 125 cc) feature a cylinder with a new exhaust port geometry and new timing curves. Both of these developments improve low-rev engine control and stabilize the power delivery, providing exceptional, stock-setting performance. Moreover, a new gear selector cam has been designed which was used in the earlier Factory models, and provides more positive shifting. Another Factory model feature is the new CDI control unit, now with even better performance and optimized mapping for the new cylinder. The 300 4T (4-stroke) engine has also been upgraded. One of the most important new features is a new throttle with a redesigned internal ramp that gives better low-rev power control. Like the 2- strokes, the 4-stroke inherits the new CDI control unit with new, dedicated mapping. 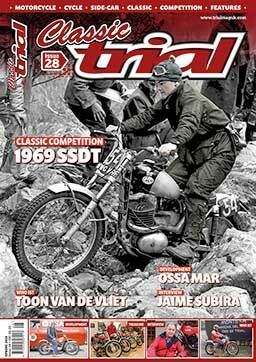 CLASSIC TRIAL MAGAZINE ISSUE 26 – TIME FOR A BREW!